In 2011, Century 21 M&M merged with Century 21 Bay Realty in Berkeley. With 40+ Realtors serving Berkeley, Oakland, Emeryville, Albany, El Cerrito, Richmond, San Pablo and Hercules, the Century 21 M&M Berkeley office is ready to assist with all of your real estate needs. 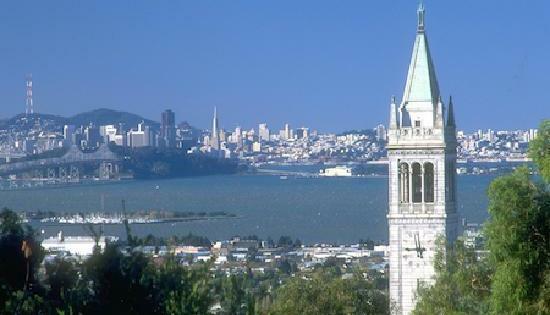 Berkeley is located on the east shore of the San Francisco Bay in Alameda County, Northern California, and has a cool summer Mediterranean climate with dry summers and wet winters. The summers are cooler than a typical Mediterranean climate thanks to ocean currents along the California coast. Berkeley’s location directly opposite the Golden Gate Bridge ensures that typical eastward fog flow blankets the city more often than its neighbors. Back in the mid-1800’s, the Berkeley area was mostly a mix of open land, farms and ranches, with a small though busy wharf by the bay. It was not yet “Berkeley,” but merely the northern part of the “Oakland Township” subdivision of Alameda County. What is there to do in Berkeley? Or, you could visit the Lawrence Hall of Science, located at the University of California, Berkeley, is a public science center with hands-on exhibits for people of all ages. The Center features permanent exhibits such as a planetarium and an animal discovery room. This world-renowned facility is always changing to accommodate new generations of visitors. The Berkeley Art Museum and Pacific Film Archive is the visual arts center for the University of California Berkeley. One of the largest university art museums in the United States, its collections totals over 16,000 objects and 14,000 films and videos. The museum, founded in 1963, is housed in a distinctive Modernist building. Habitot Children’s Museum is an award-winning children’s hands-on discovery museum. The museum is designed specifically with infants and toddlers in mind, and in keeping with its mission to promote safety and awareness, conducts several programs that are tailored to the parents of children in this age group. The museum also features a unique toy-lending service. Tilden Regional Park and Environmental Education Center has been called the jewel of the East Bay Regional Park System. The Environmental Education Center is a world-class interpretive center, with interactive displays geared towards children. The Center, part of the larger Tilden Nature Area, features a working farm, as well as many other hands-on activities for children. Overall, Berkeley schools have a high Base API score in the high 700’s/low 800’s. Berkeley has one of the highest rates of bicycle and pedestrian commuting in the nation. Berkeley is the safest city of its size in California for pedestrians and cyclists, considering the number of injuries per pedestrian and cyclist, rather than per capita. The top 10 employers in Berkeley are; University of California, Berkeley, Lawrence Berkeley National Laboratory, Alta Bates Summit Medical Center, City of Berkeley, Bayer, Berkeley Unified School District, Kaiser Permanente, Pacific Steel, Andronico’s, Berkeley City College. As you can see, Berkeley is a great place to live with great schools and lots of budget friendly things to do. If you are thinking of buying or selling property in Berkeley or the surrounding areas, contact our Century 21 M&M office located at 901 University Ave, Berkeley, California 94710, or call (510) 845-2100.